Fife Flyers, Britain's oldest ice hockey team, rejoin the top tier of the sport after being named the tenth team in next season's Elite League. 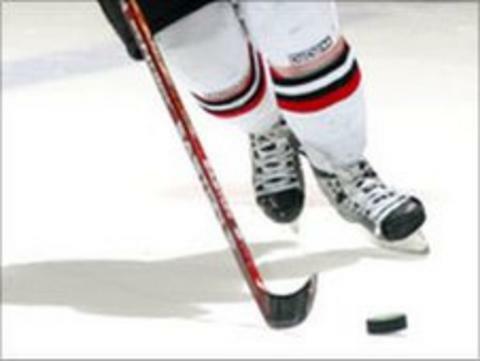 Agreement on the move was reached at an EIHL board meeting on Thursday. The Flyers will be the fourth Scottish side in the Elite League, alongside Braehead, Edinburgh and Dundee. EIHL Chairman Eamon Convery said: "It has been a long time coming but we are delighted to welcome the Flyers into our league." "Fife remain one of the biggest names in our sport," he continued. "Their inclusion in the Elite League enhances the top level of our sport and certainly creates a huge rivalry north of the border. "Our view has always been that the Flyers belonged in the EIHL, and that we as a league needed the UK's oldest established ice hockey team in our division." Jack Wishart, Director of the Kirkcaldy-based Flyers was equally pleased to be joining the Elite League. "We are delighted to have been accepted to join the EIHL," he said. "We felt that this was the right time to join the league. At the end it was a mutual coming together and one we hope benefits both the Flyers and the other member clubs." A place was vacant in the league after the withdrawal of Newcastle Vipers for financial reasons. Belfast, Cardiff, Coventry, Hull, Nottingham and Sheffield are the other sides in the league.